A View From The Cave: Where do Refugees End Up? 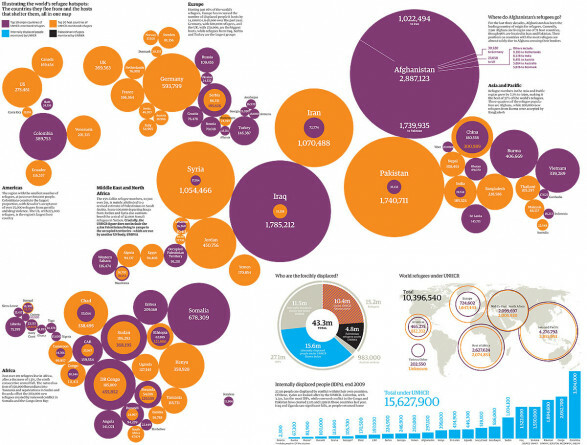 Where do Refugees End Up? Origin countries are purple and host countries are orange. The data is only up to 2009, so many changes (most notably the fact that there are nearing 1 million Syrian refugees) have taken place over the past four years. Anyways, it is still interesting to see the where people are leaving and what countries are taking people in.